Aaaaand this is me being a hypocrite. Last week I boldly stated that the BEST thing you could do during zucchini season is make chocolate zucchini cake. I’m not taking that back, heavens no, but I’m just admitting that there are a couple great things you can do. Since one can/should only eat so much zucchini cake in a span of 2 weeks, I wanted to make a main entrée with my overflow of zucchini. 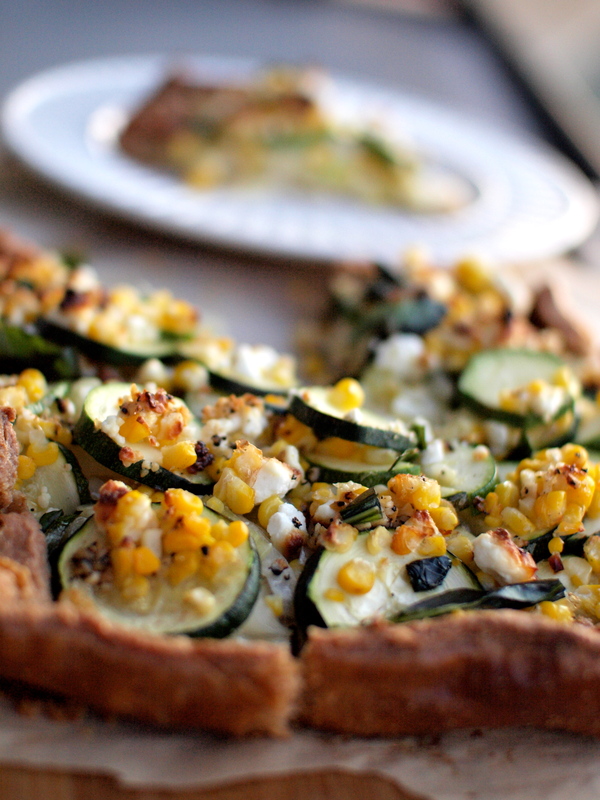 A recipe I’d been eyeing from Smitten Kitchen came to mind…a buttery galette recipe with zucchini and cheese. Did I mention there’s butter? Butter and marscapone and parmesan and goat cheese and grilled corn. And, as a sort of joke, I decided to adapt the crust to be a whole wheat pastry. Now I’m not only a hypocrite but I’m also an oxymoron…whole wheat pastry dough?…with a stick of butter folded in?…and topped with three kinds of cheese? That’s just dumb. This entry was posted in Dinner and tagged Corn, Pastry, Summer Recipes, Whole Wheat, Zucchini on August 23, 2012 by Katie. Zucchini season has arrived in a big, bad way. In the little 4×8 plot the boy and I care for (okay, he might care for it more than me), we had big plans for beans, squash, herbs, garlic, onions…the works. What do we have? A zucchini plant that’s basically grown over all the other plants, and conspired with the tomato plants to become the king and queen of the garden plot. 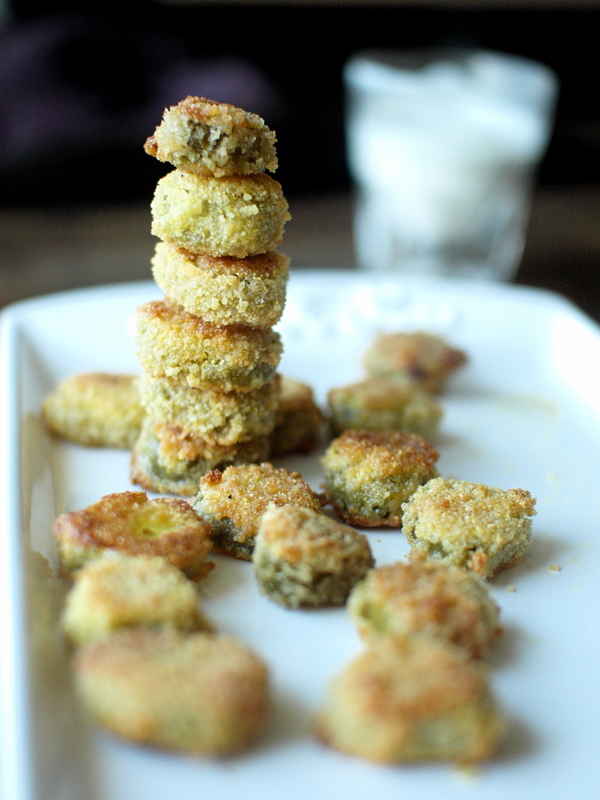 I love tomatoes, but I’m kind of “meh” about zucchini…what the heck do we do with all of it? After picking a particularly huge zucchini this weekend, I mentioned to the boy that I wanted to try my hand at zucchini bread. His eyes immediately lit up. “Are you making chocolate zucchini bread?” No, I wasn’t planning on that…”Well, will it have chocolate chips or frosting?” No, I’m making bread, not cake…”Oh, well Terese’s mom used to make this really great chocolate zucchini bread with chocolate chips, and it’s really amazing…” he trailed off, disappointed. The boy’s uncharacteristically strong reaction told me that this zucchini “bread” (let’s just call it what it is…it’s cake) must be something very special. Since I’m not one to turn away from a good dessert, or really anything involving chocolate, we called the recipe holder to get the scoop. 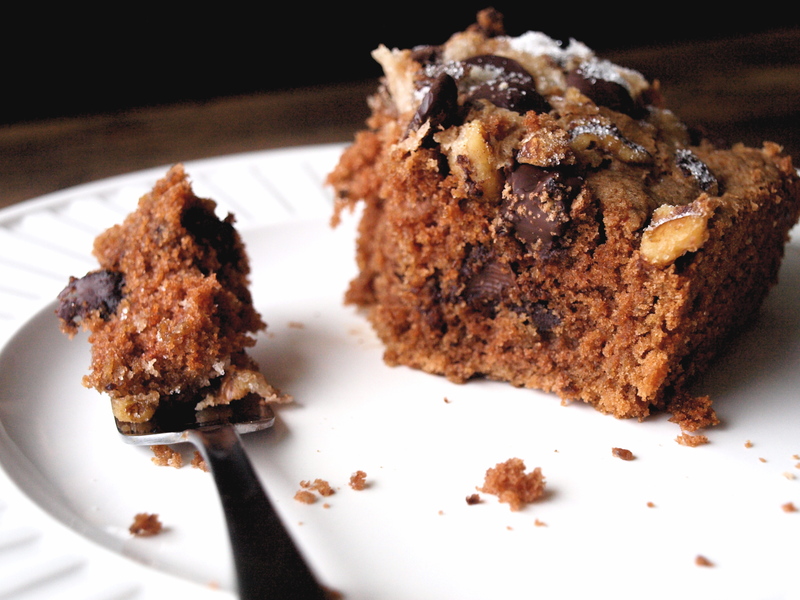 This entry was posted in Baking, Cake and tagged Baking, cake, Chocolate, Dessert, Zucchini on August 13, 2012 by Katie. So folks, it’s official. After over a month of slowly moving items from point Veggie to point Beast, I now am living in a new neighborhood with a new roommate. I can’t complain about the company, but the location is taking some getting used to. It’s not that I dislike my new neighborhood. It’s just too…tempting. For instance, I have not one, but TWO malls within walking distance. It seems that every corner holds an enticing boutique, and of course a Target sits just a hop, skip, and a jump away. Then there are the restaurants. Oh me, oh my, the restaurants. This one particular restaurant haunts me. It creeps up on me when I’m hungry, reminding me that an awesome wrap is just a short walk away. 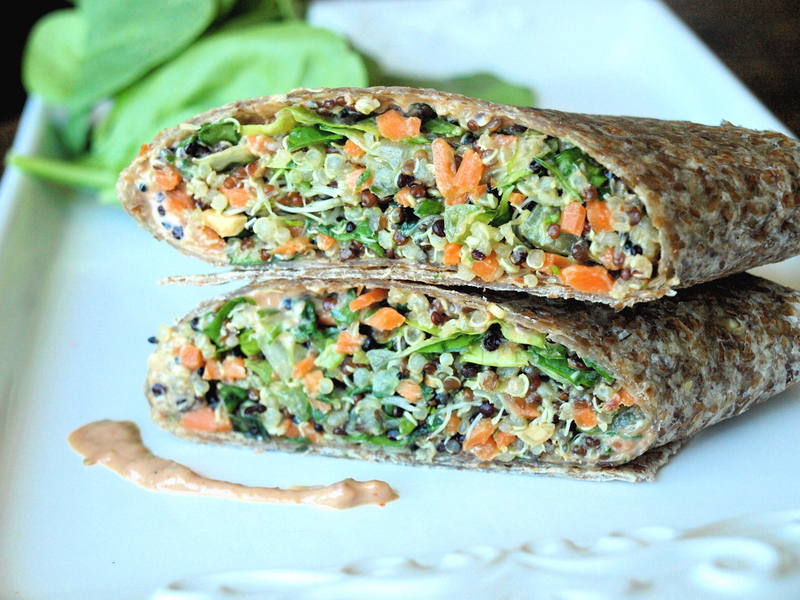 A delicious wrap that’s full of veggies, brown rice, and a tangy vegan sun-dried tomato aioli that I could drink with a straw (gross…too far?). In short, it’s amazing. Amazing, expensive, and available for takeout. It’s a triple threat. In an attempt to sidestep the multi-week veggie wrap purchases that would inevitably ensue, I decided to try my hand at wrap construction. With all the temptations surrounding me, I figured my bank account would thank me for trying to cure my wrap cravings at home. My bank account may need to have a talk with me about the clothes cravings, and the nearby cures, but that’s an issue for another day. This entry was posted in Dinner and tagged Quinoa, Sun-dried Tomatoes, Vegan, Veggie Wrap on August 6, 2012 by Katie.